Hi friends! 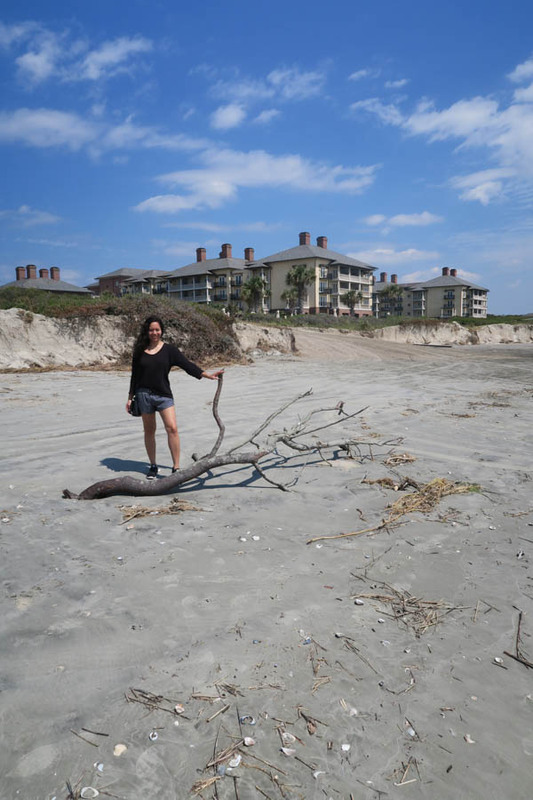 Here’s the first part of my annual birthday beach trip to Kiawah Island in South Carolina. Be sure to check out the video – it’s long, but it’s basically three vlogs combined into a single video. Click here to view my video if the above player doesn’t work. 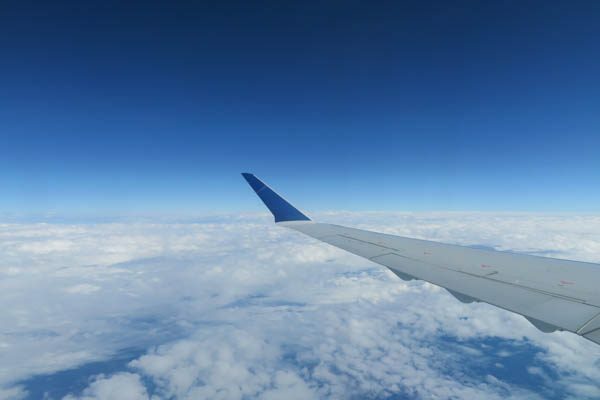 On Thursday, I flew from NYC to Charleston, SC. The Charleston airport is so cute, and I love how not-busy it is. Life is so much more relaxing in SC…even the airports! 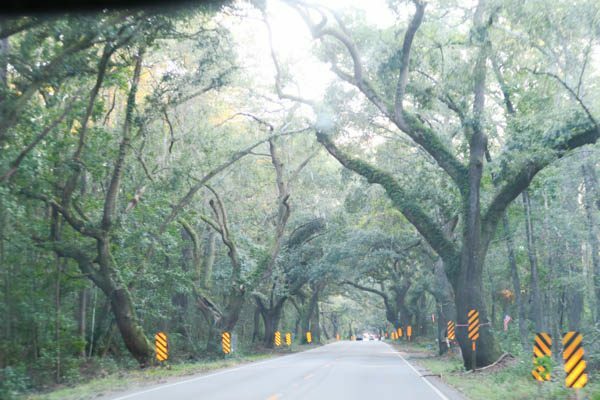 When I see this tree-lined road, I know I’m getting close to Kiawah. 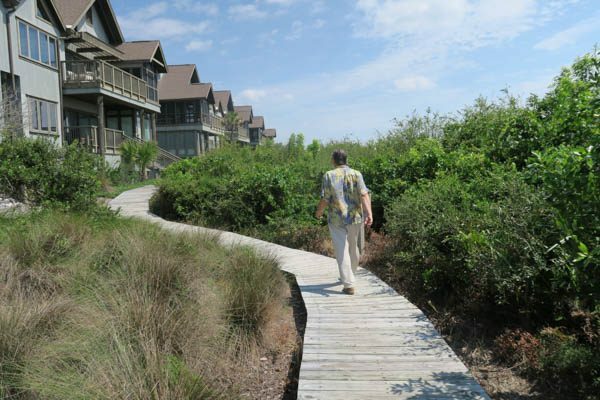 Kiawah Island about 45 minutes from the airport. The island had just re-opened after the storm. We were told only 12 other people checked in when we did. I wasn’t sure if any restaurants would be open, but luckily La Tele Pizzeria was open. 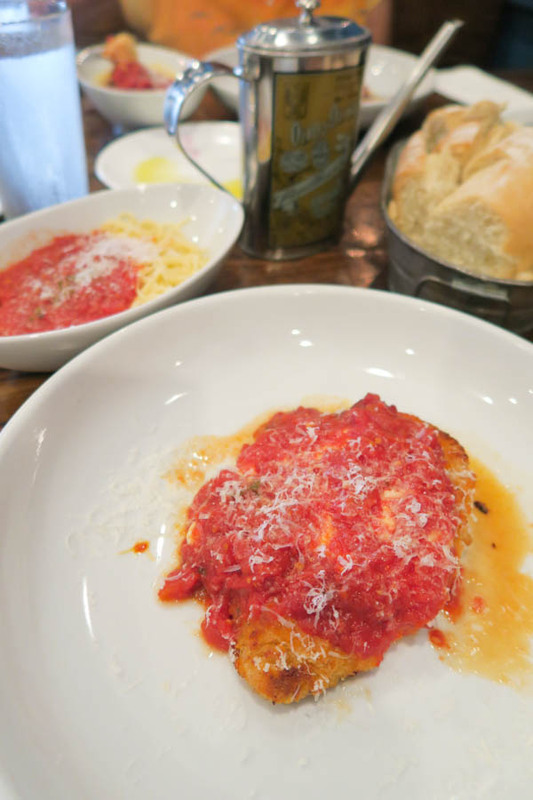 This restaurant is located at Fresh Fields. 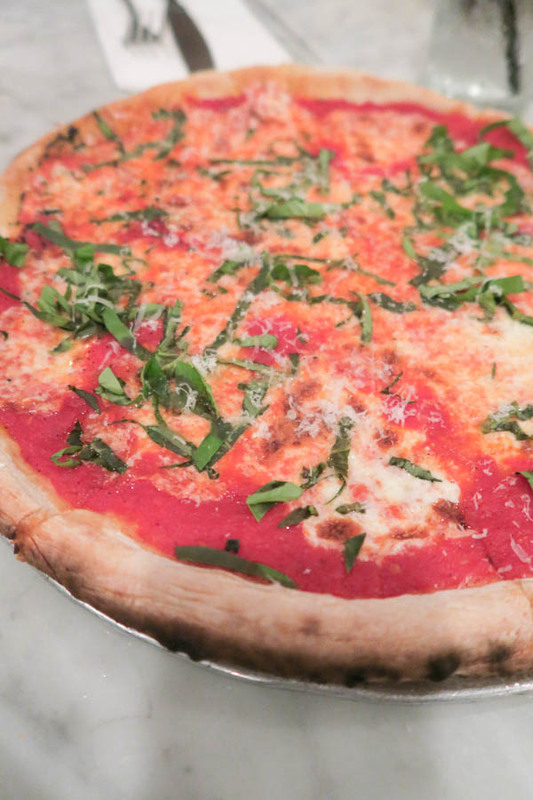 I love them because they source locally, and they have really fresh ingredients. 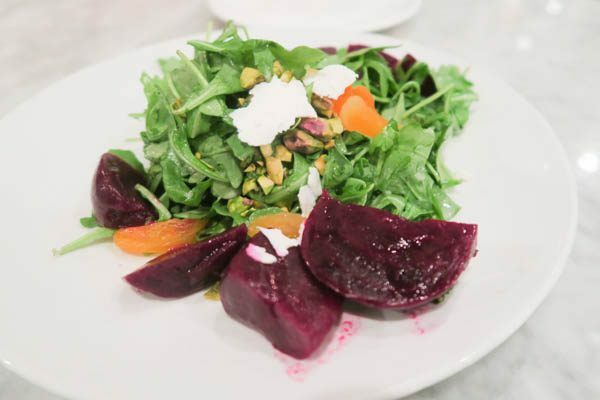 This beet salad (shared with dad) was really good. And then mom and I shared this basil pizza with homemade mozzarella! Delish! 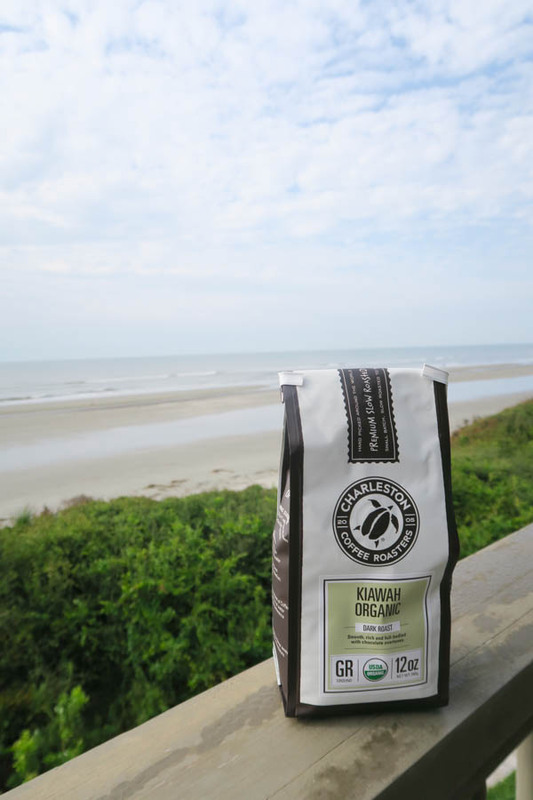 After stopping at the grocery store, I found this organic Kiawah blend by Charleston Coffee Roasters. Though I don’t normally do dark roast, I had to opt for this because of the name. It was very smooth, and I actually liked it quite a bit. Mom cooked me breakfast. Aww. 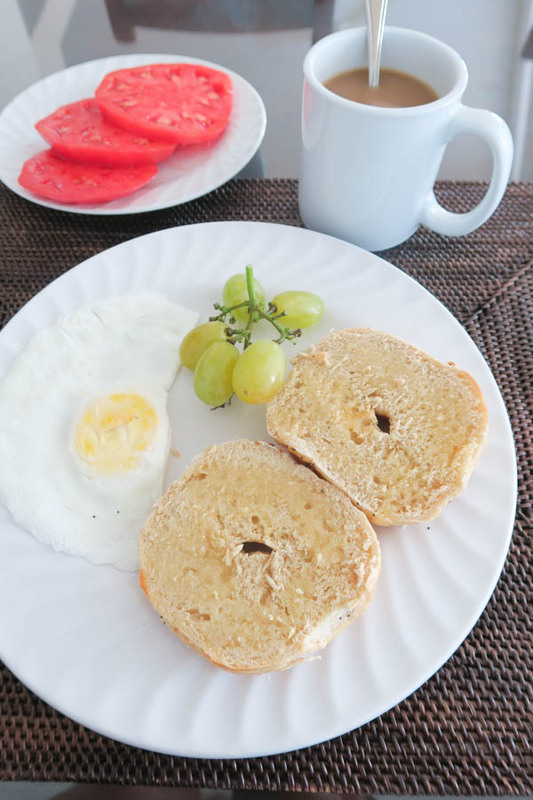 I had an everything bagel toasted with butter, a fluffy fried egg, some cotton candy grapes, and tomatos from the parent’s garden. Plus coffee, of course. Dad and I walked over to The Sanctuary. There’s a full walk-through in the above video if you’d like to see what it’s like. It’s very pretty! After visiting some of the shops (dad loves the art gallery! 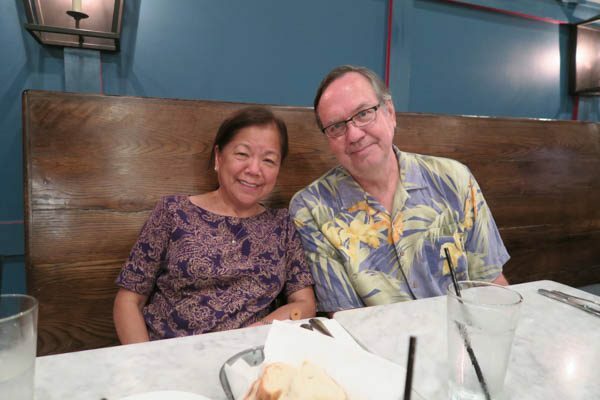 ), we went back to La Tele Pizzeria for a quick lunch. Dad and I shared another beet salad, and then mom and I shared chicken parmesan. This is half! It was very filling! 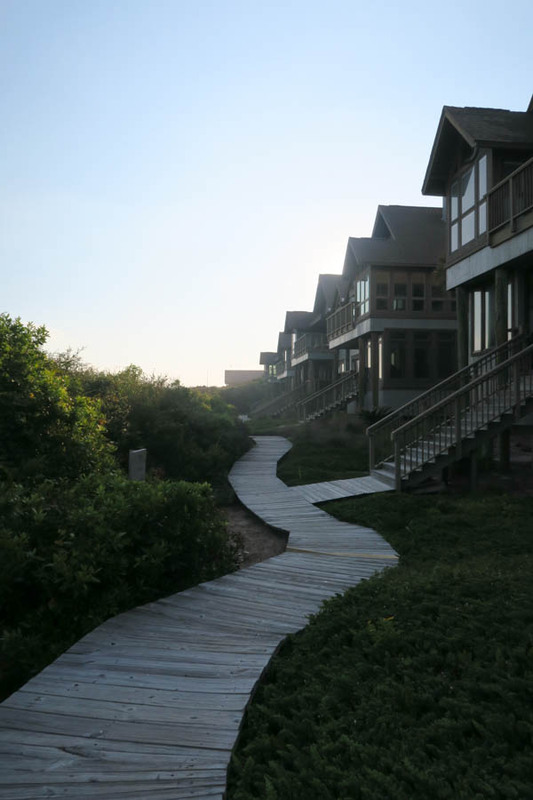 Sadly, many of the boardwalks were damaged, if not destroyed, during the storm. They were saying things could have been much worse. The erosion of the dunes seemed pretty significant in some areas. But they were lucky that they didn’t have a direct hit by the storm. 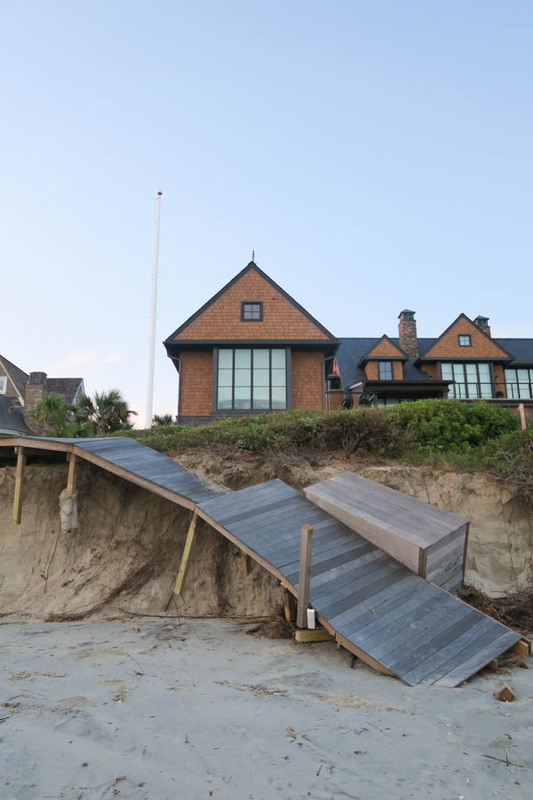 With so many parts of the world having life-threatening conditions, Kiawah really was lucky. After doing a walk on the beach for a cardio warm-up, I did some quick toning exercises to keep up with my 30 Day No Crunch Ab Challenge. Sis and Justin arrived after lunch. They brought a ton of stuff, including a whole KitchenAide! 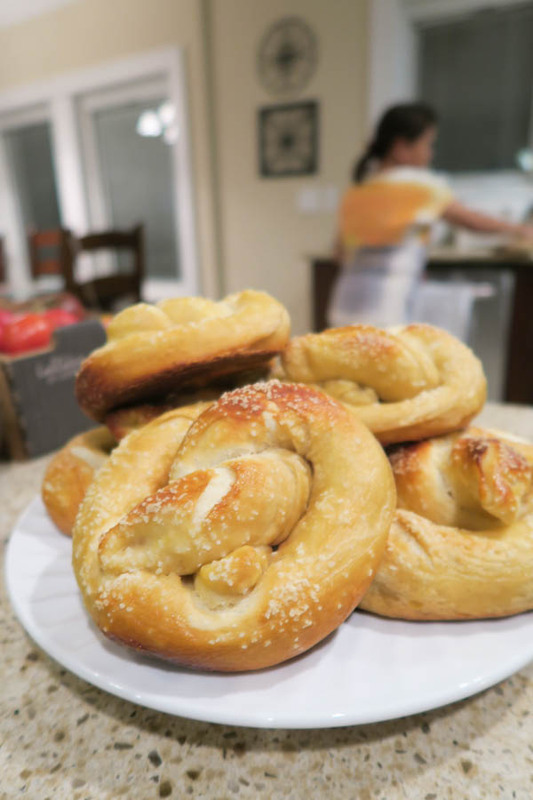 Which they used to make homemade pretzels. Yummm! 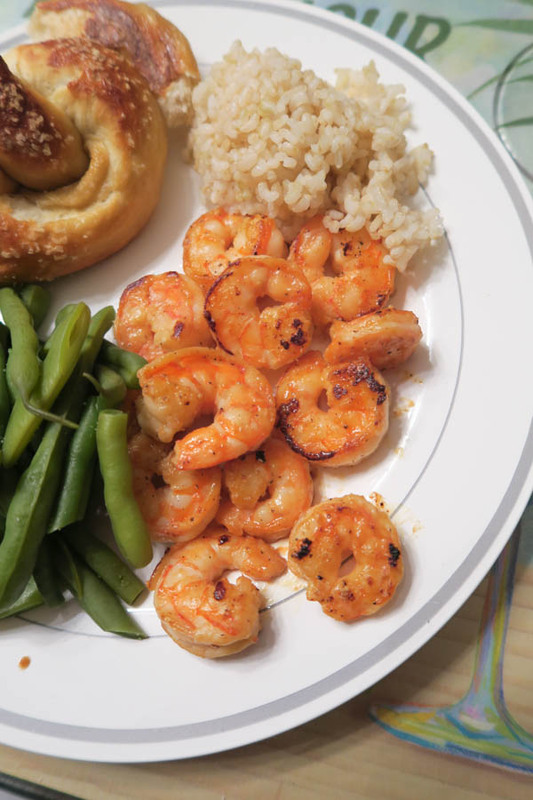 Sis whipped up a batch of dad’s shrimp. I recorded a video of this, but it was really loud in the kitchen, so we’ll see if it’s worth sharing. I have to review the clips more still to see. I loved looking outside the window of the villa every morning and seeing the beautiful beach. 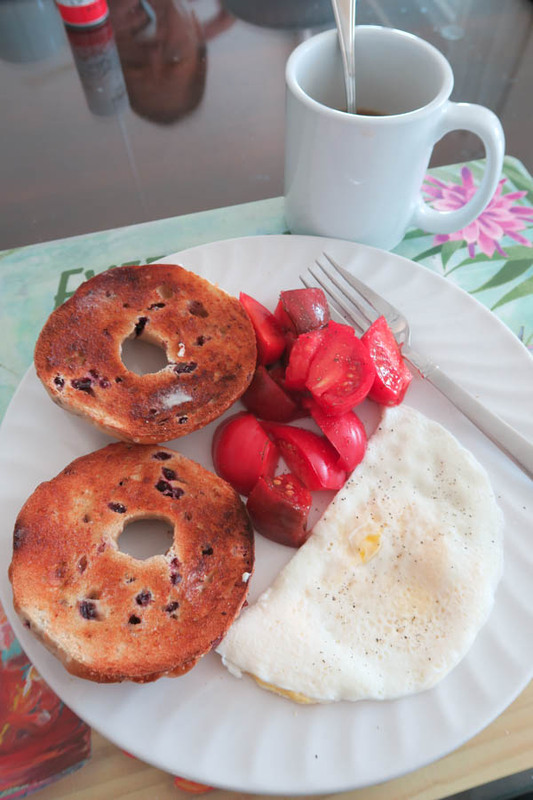 For breakfast, I enjoyed another of mom’s fluffy fried eggs. This time I opted for a blueberry bagel. Can you tell we had a ton of these with us? They freeze really well, so that’s how we had so many. The weather was really nice, and we enjoyed some QT at the beach. 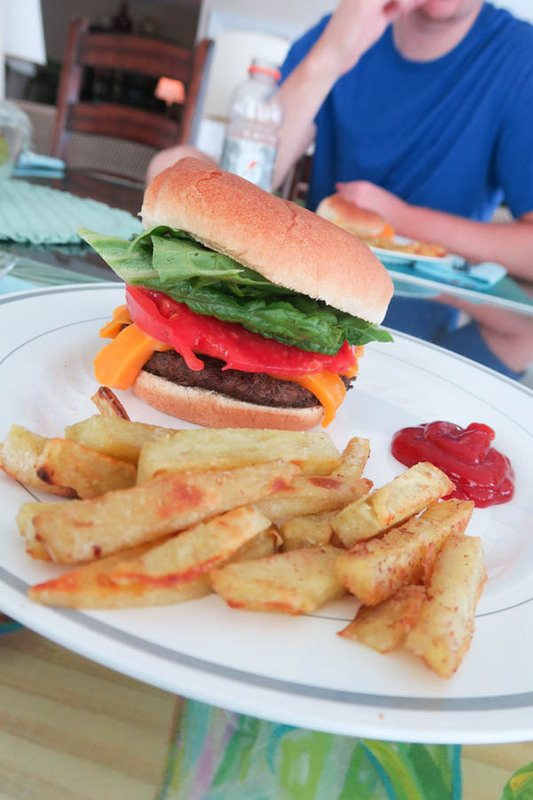 For lunch, Sis and Justin whipped up burgers with baked Japanese sweet potato fries. 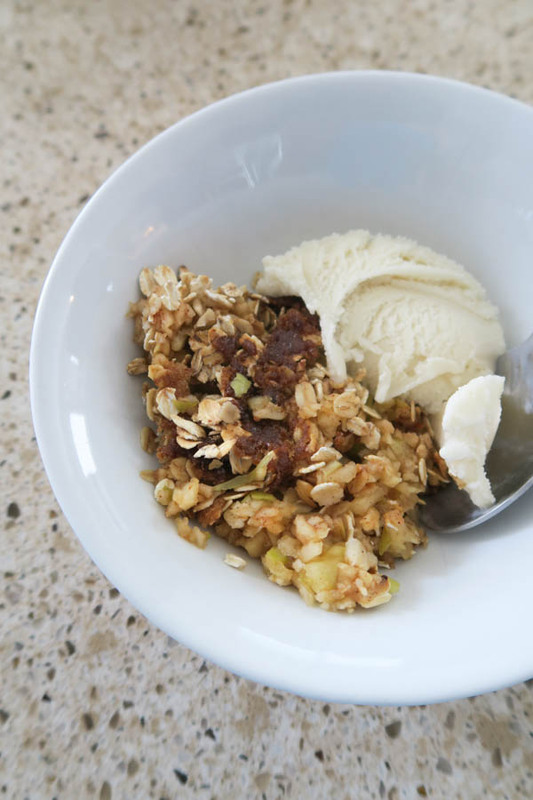 And we even had lunch-dessert: apple crisp with ice cream. Yum! For dinner, Justin whipped up a batch of his famous homemade pasta. He let me pick the pasta machine setting, and I opted for bucatini, which is like a hollow spaghetti. For dinner, I was tasked with making the entree. 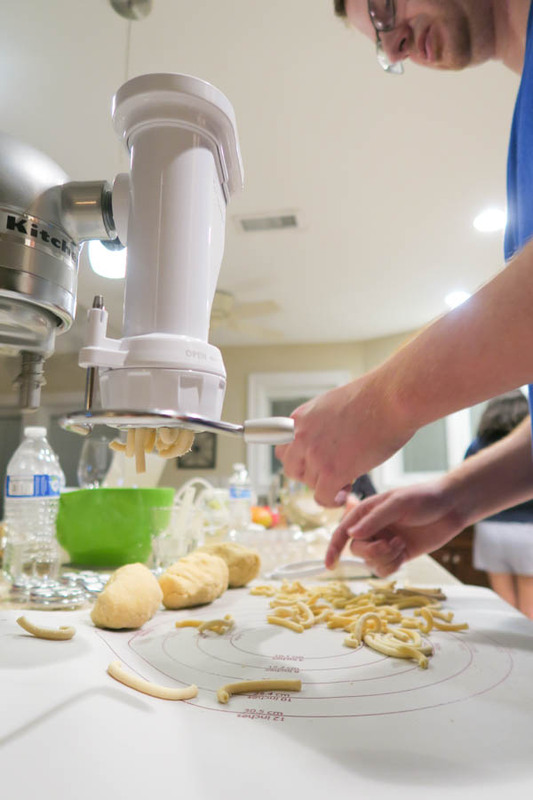 It was sort of like a cooking show – I had some ingredients but no recipe. 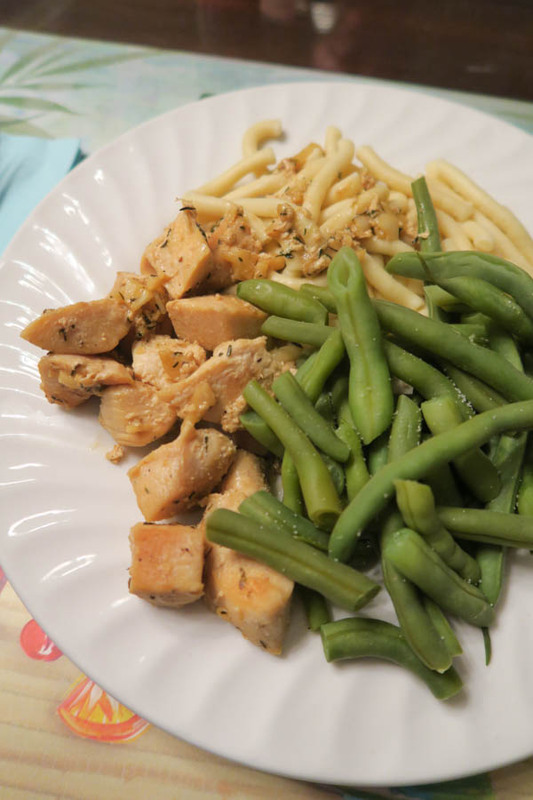 I made a quick chicken saute with white wine and garlic. And to end the day, Sis and Justin served panna cotta they had prepped the night before. 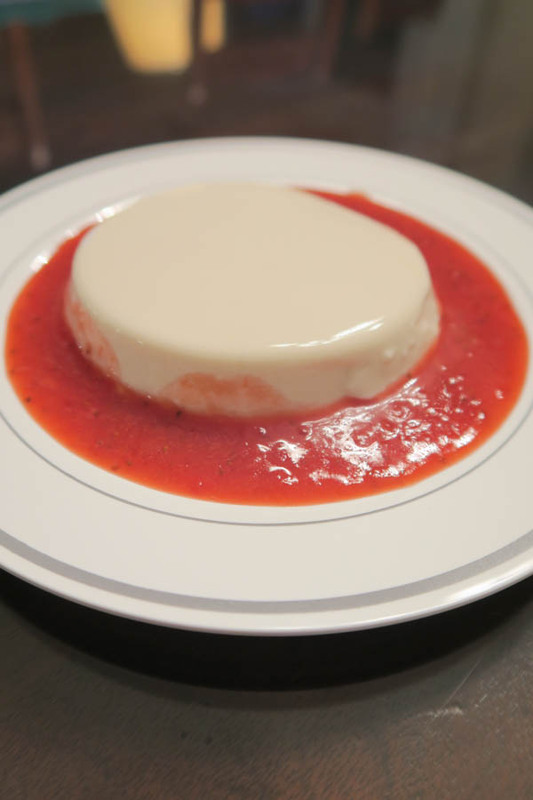 Sis made a fresh strawberry sauce to go with the dessert, which was perfect. What a delicious and fun day! 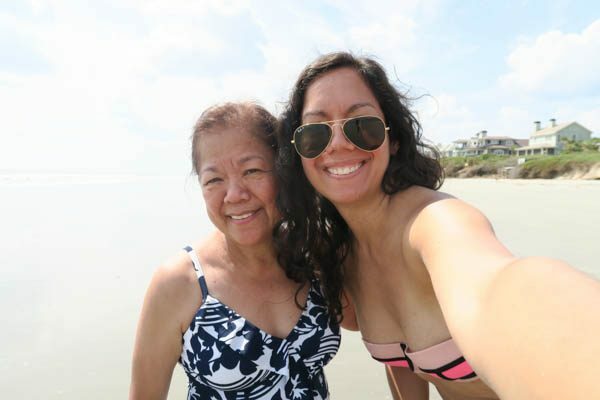 Click here for Part 2 of my Kiawah birthday vacation! 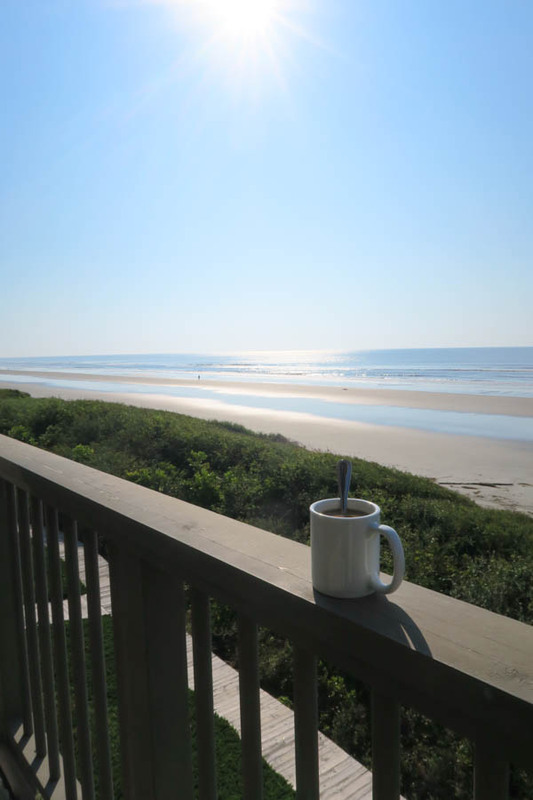 Click here for my Kiawah trip 2016 recap.